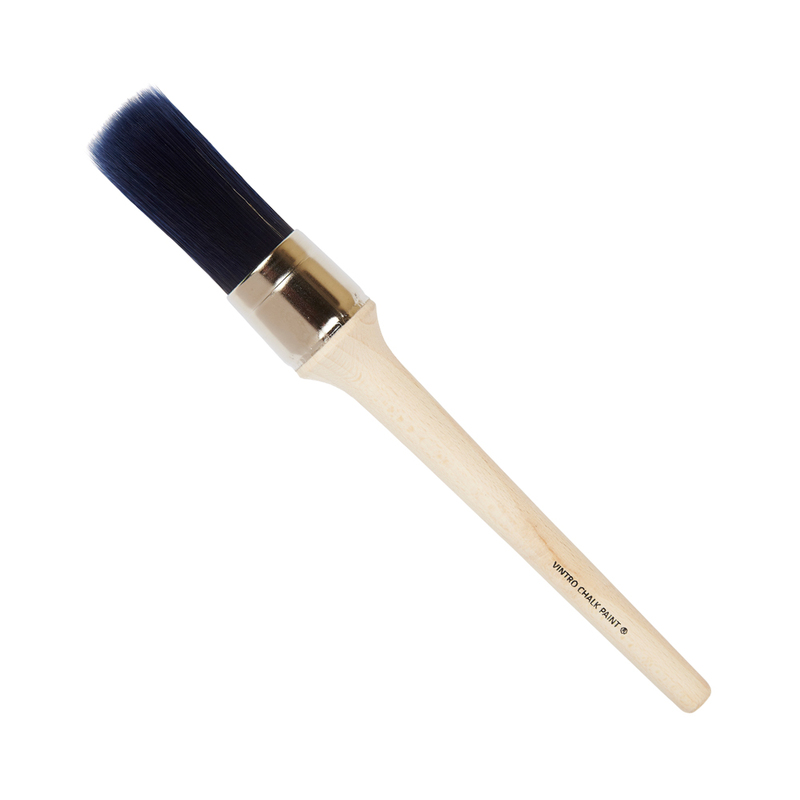 A range of brushes designed to work in perfect harmony with our paints. Vintro Synthetic Brushes are available in a round design or as flat brushes and are made from the finest blue synthetic filaments. Our brushes have been designed to ensure a smooth and even flow of paint onto all surfaces, reducing the likelihood of brush marks. The wooden handles have been designed for comfort and grip. New brushes should be conditioned prior to first use by washing in clean water and thoroughly drying. This will ensure removal of any residue from the manufacturing process.